The UK Evaluation Society (UKES) seeks to promote and improve the theory, practice, understanding and utilisation of evaluation and its contribution to public knowledge. To support their vision the Society has developed the fundamentals for evaluation training programme to share expertise and knowledge in evaluation methodologies and approaches to help build capability and capacity in the Evaluation Community. It is open to both members and non-members of the UK Evaluation Society and complements UKES' Voluntary Evaluator Peer Review (VEPR) programme the Society is developing and the Evaluation Capabilities Framework. Our Developmental Evaluation course will increase participants' understanding about the unique niche, strengths and limitations of Developmental Evaluation. Developmental Evaluation (DE) is a fresh approach to evaluating social innovation, often taking place in challenging and complex settings, at the interface of different knowledge systems. This highly practical, interactive and reflective day will introduce you to the eight principles that guide Developmental Evaluation and unpack the role of the developmental evaluator. The course will be presented by one of the world's leading developmental evaluation practitioners Kate McKegg. Kate has worked in the fields of evaluation, evaluation capacity building, research, policy and public sector management since the late 1980s. She has developed specialist skills in developmental evaluation, programme evaluation, evaluation capacity building, strategy, policy, research, training and facilitation. She has been applying these skills for over 25 years in government, non-government, philanthropic and community contexts, including many indigenous settings. Kate is the director of The Knowledge Institute Ltd (www.knowledgeinstitute.co.nz ) and a member of the Kinnect Group (www.kinnect.co.nz), as well as an indigenous led collective Tuakana Teina, based in the Waikato region of New Zealand. 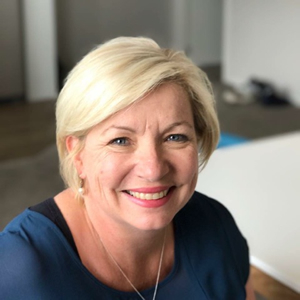 She is also a co-founder of the Developmental Evaluation Institute (www.developmentalevaluation.institute ) and a founding member and current Deputy Convenor of the Aotearoa New Zealand Evaluation Association (ANZEA). Kate is co-editor of New Zealand's only evaluation text, Evaluating Policy and Practice, a New Zealand Reader (2003), and along with Nan Wehipeihana, Kataraina Pipi and Veronica Thompson) was a recipient of the Australasian Evaluation Society 2013 Best Evaluation Policy and Systems Award for a developmental evaluation of an indigenous sport and recreation programme. She was also co-editor (along with Michael Quinn Patton and Nan Wehipeihana) of the book Developmental Evaluation: Real World Applications, Adapted Tools, Questions Answered, Emergent Issues, Lessons Learned, and Essential Principles, Guildford Press, New York, (2015).